In support of the general recognition of the need for NHS trusts and foundation trusts to deliver good governance and to demonstrate this to stakeholders, Grant Thornton has undertaken in-depth review of over one hundred NHS trust and FT 2010/11 annual reports. While there were elements of good performance, all trusts have room to improve the clarity and quality of their annual reports, particularly in preparation for the times ahead. 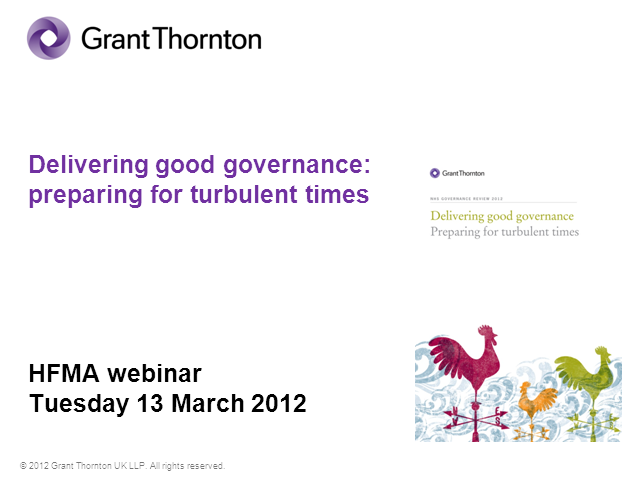 This hour long webinar will explore how to deliver good governance and will feature a Q&A session.